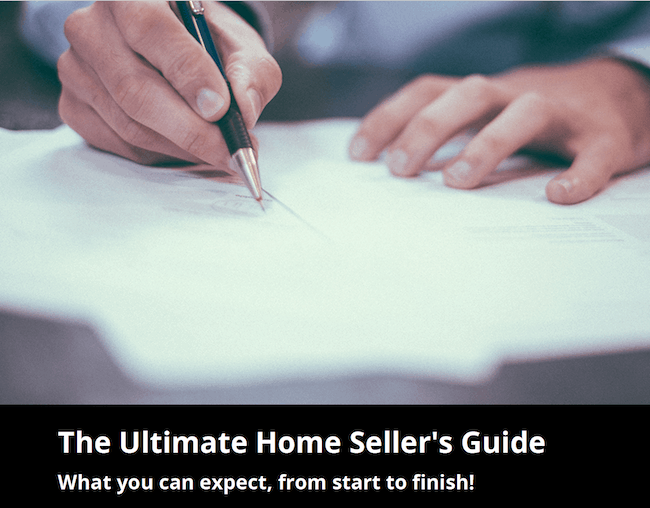 Our Ultimate Home Sellers Guide was created to explain what you can expect from us from start to finish getting your home on the market and to result a successful sale on your home. This 34 page booklet is free to you with no obligation! I’m sure you’re even more excited than I am to get it on the market, see buyers coming through, and of course, get an offer! Selling a house is a fun and exciting process, but it can also be stressful and aggravating at times. Which is why our Ultimate Home Seller Guide will help you see what to expect. I do everything possible to make sure everything goes as smoothly as possible. Many of the things that are stressful or aggravating can be avoided (or handled better) as long as you know what to expect and do ahead of time. While this guide won’t get into every little detail about the process (I’ll be taking care of a lot of things behind the scenes which you’ll never need to worry about)….it does get into some things you should know about, which will save you time, effort, money, and heartache. All you have to do is ask and we will get one to you. Call us, email us, or fill in the request below Select the booklet you want from the drop down menu.